Prices aren’t quite that low any more, but Nick clearly thinks they are very good value. The cotton used is long-staple Egyptian cotton. This is on a par with The White Briefs and the feel is similar. Although Zimmerli will be covered in greater detail in the next in this series, I can say that their cottons are noticeably softer – both the regular Royal Cotton and the Sea Island. However, you certainly pay more for the Sea Island – the name is trade marked by the West Indian Sea Island Cotton Association (the cotton is no longer grown on the actual sea islands, off Georgia) and that monopoly increases the price. 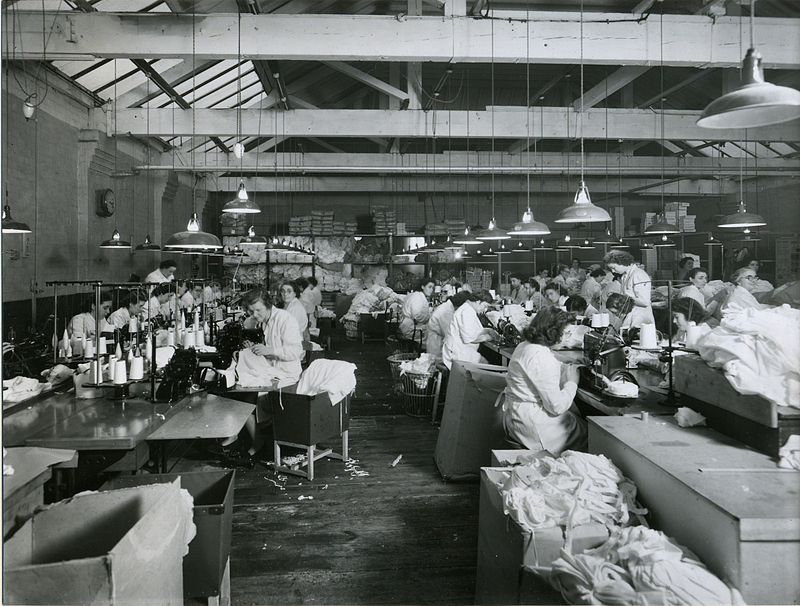 That’s why Turnbull & Asser offers sea island ‘quality’ cotton, for example. Another difference between Sunspel and the others is that the cotton is two-ply. This makes it a touch thicker, but more durable. I can’t say I was aware of the thickness until Nick pointed it out – so it’s not that noticeable. Sunspel is also proud of its tradition of innovation. It developed unique cellular cotton (below) on old lace machines in 1958, at the factory in Long Eaton, and this is still a best seller. Its regular cotton is a jersey knit that also makes its construction different to that of other companies. For example, I found the leg openings had greater stretch in them than those from The White Briefs, even though there is no elastane in the binding, unlike those from the Swedish company. I tried both the regular knit cotton and the cellular. Although the latter has more stretch, at least horizontally, I found the former more comfortable. Both did very well on the wear test, being washed and worn five times each. Interestingly, I asked Nick why no one does underwear in grey, which is probably my favourite colour for it. Apparently grey marl cotton is at least 30% more expensive than white, and almost as big a mark-up on black. Rather than explain this to every customer, most companies that did grey would have to raise the price of all colours by 30%, which is hardly fair. Most of the underwear is not made at the Sunspel headquarters (top), but in Portugal. 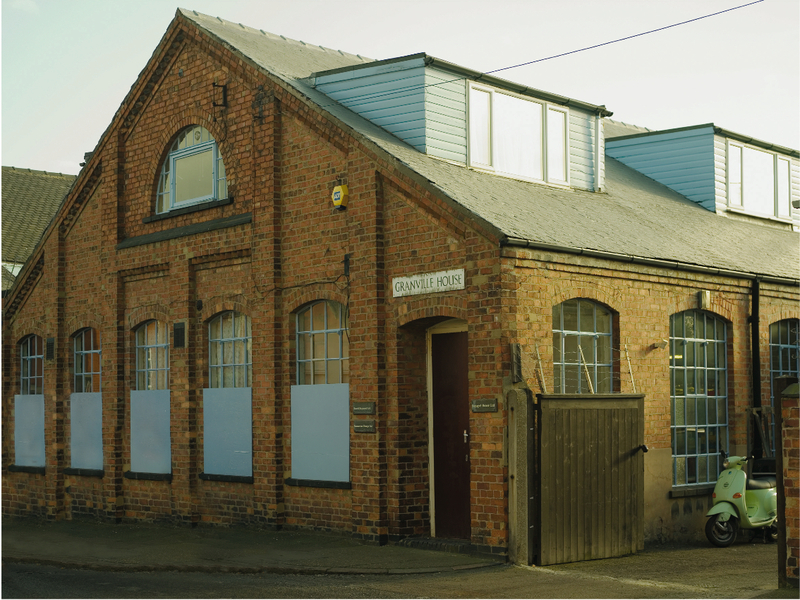 The Long Eaton factory is largely reserved for T-shirts and other garments for the upper body, which make up the majority of Sunspel business. I tried the T-shirts too, by the way, and can highly recommend them – though I have not done a similar comparison to any of the other makers. The texture of the Sunspel cottons, in particular, comes across better on a larger scale, as you might imagine. I sized up on the underwear (medium) and down on the T-shirts (small). The next piece in this series will be on Zimmerli. At the end of the series I will write a more direct comparison of all manufacturers, including Hanro and Schiesser. You can follow the discussion on Sunspel: The underwear project by entering your email address in the box below. You will then receive an email every time a new comment is added. These will also contain a link to a page where you can stop the alerts, and remove all of your related data from the site. Very interesting. When will you write about Zimmerli? Any sign of the sunspel collaboration Simon? There’s nothing planned Jon. Did I suggest something at some point? Apologies if so! I bought two Tomato Red T-shirts on sale and have washed them at 30 degrees now at least fifteen times. Absolutely nothing to criticise! Definitely more durable up to this point than all my fickle seam-jointed Smedley sea island (quality?) v-neck short sleeve undershirts! From the perspective of the potential impact on tailoring, what your preferred underwear styling, ie boxer, brief, boxer brief?